I WRITE to explain as well as to clear the air around incorrect perceptions that two different stories were published by the dailies last week. 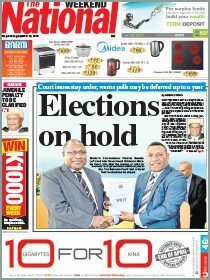 First, a story in the Post Courier on Feb 8 claiming the possible deferral of the Bougainville Referendum to October 2019 may have been from information provided at a media workshop held at the PNG NRI on February 1 by the PNG NRI Bougainville Referendum Research Project. We also want to clarify that a story run by The National newspaper on February 4 quoting an amount of K1 billion was incorrect. Referendum matters so that they appreciate the sensitivities and report factually correct information. We have made it a point and there is an understanding with the media personnel that information provided and discussed at the workshops do not get reported and that the information provided is only for background purposes. An update on the status of the referendum was included. The media were informed that the Bougainville Referendum Commission (BRC) was ready with the operational plans with the target date of June 15, 2019. The only concern was that funds committed had not been released to enable preparations such as updating common rolls and that even a promised K1 million in December has yet to be received by the BRC. The Post – Courier did not have anyone at the media workshop on February 1. 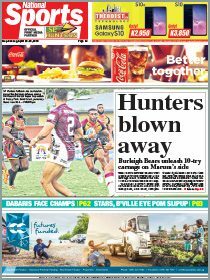 The claims made in the story on February 8 is from sources other than the PNG NRI, Bougainville Referendum Research Project.